This Man really means "Business" & that's what America's all about, we taught the world about business and now Trump's conducting an extreme refresher course.....Plus, don't you just love watching Obama squirm as Trump delivers? In an interview, Mr. 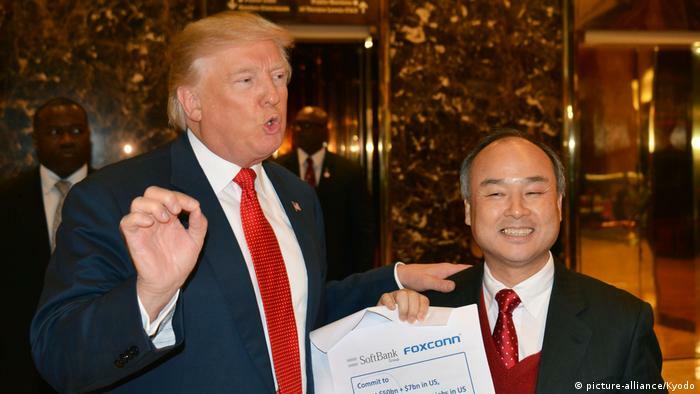 Son said the money will be coming from a $100 billion investment fund that he began setting up earlier this year with Saudi Arabia’s sovereign wealth fund and other potential partners.